Although popular, Chester Odeon was far from typical of the style associated with a Harry Weedon designed cinema, mainly because of the site area restrictions, and of interference to the initial planning applications by the City Council. Unlike the other two ornate’Super Cinemas’, the Gaumont and the ABC Regal, it’s interior was bland, with a leaning to art deco in design. What you see is what you have, a long narrow building with most of the area taken up with the auditorium. Offices, staff areas and storage areas being very small, accessed by one stair well that eventually leads you to the projection room and roof. The main entrance end of the building seemed to dominate the far end of the Town Hall square. The large red neon sign was placed high on both sides of the brick built tower and could be spotted several miles away. Unlike the small uninspired square entrance hall, the upper foyer was impressive. The two staircases joined onto a single landing, which then formed a single staircase to the large foyer. It had a sweeping cove along the centre of the ceiling, spanning from the stairs and stopping short of the high pink frosted glass window. The glass had been specially imported from Sweden, and cast a warm glow to the foyer. Entering the circle crush lobby, which had cloakroom facilities on both sides, you came to another two sets of double doors, which led to a vomit staircase and the circle. There was a main cross over which spanned the width of the circle and divided the rear and front seats. The seats were arranged into several blocks. The rake was moderate, with a problem of customers at the back being able to stretch their arms up to touch the projection beam. The walls of the circle and stalls had polished two-toned wood panelling, approximately five foot high, which protected the stippled fibrous plaster. Dotted around the walls were small art deco chrome sidelights, which provide maintained primary and secondary lighting. With low wattage orange lamps, these stayed on when the house lights were dimmed. Apart from the vomit stairs, the other exits were at the left and right of the rear circle. There were no mid-way side exits. The stalls held 1080 seats, with a further 548 seats in the balcony, making a total of 1628. Although not very wide, the length of the stalls made up for it. The ceiling at the rear of the stalls was low with several recessed light fittings. The full floor in the stalls was raked from back to front and was T & G floor boarded. Purposely your eyes were drawn to the stage area. A polished wood barrier enclosed a dropped band pit, which matched up with the wooden paneling around the cinema and on the foot light valance. The theatre had little interest as far as decorative plaster design. It had two-tear duct coving that ran either side of the ceiling leading to their widest point half way down the proscenium where they terminated. This coving had three circuits of lighting for colour changes. Two large display boxes sit halfway up the sidewalls by the proscenium, lit in orange. Bands of concealed cove lighting run towards the front of the building. At the rear circle there was a small oval cove feature with concealed lighting. A plain proscenium opening with a raise-edging band to separate it from walls. The stage itself was designed purely for film entertainment. It had a horn chamber recessed into the rear back wall, that could be accessed from outside. This was because the original screen frame was attached directly onto the back wall. The were series of lines for tab tracks, borders and legs. These were to provide additional presentation to the build up the opening of the feature film. 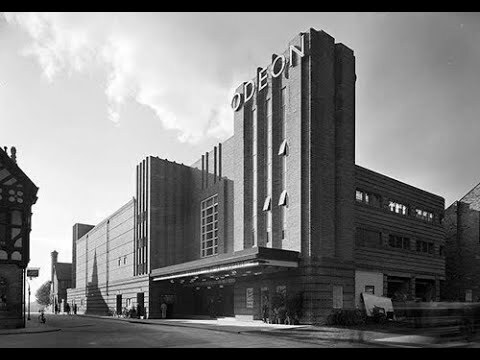 Click on the above picture to view the Odeon filmed by David A Ellis a few weeks before it finally closed it’s doors on Thursday 14th June 2007. In 1976 the Odeon was tripled with the balcony extended forward to provide 802 seats. In the stalls area two new cinemas were formed at the rear, each seating 122, making the capacity to 1046, a reduction of some 582 seats off the original capacity of 1628. 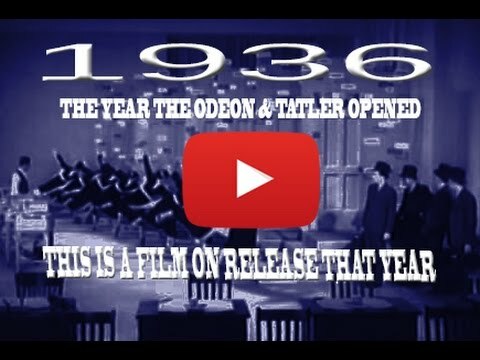 The ODEON FILM CENTRE was officially opened Saturday 10th April 1976. 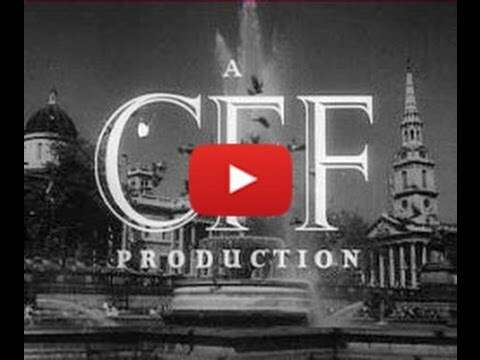 The general public were admitted free of charge to explore the new development, and to watch selected trailers shown in Odeon 1, the largest theatre. Later that day an invited audience attended the opening film ~ “THE ROMANTIC ENGLISH WOMAN”, which was surprisingly shown in screen 3. The following day all 3 screens opened with “THE JUNGLE BOOK” (screen one)~ “TOWERING INFERNO” (screen 2)~ “THE ROMANTIC ENGLISH WOMAN”(screen three). In March 1991, Screen 1 was divided into three screens, giving seating capacities of two 151 seat screens at the rear and one 406 seat screen at the front, leaving the 1936 proscenium intact. The two ground floor screens remained the untouched, although re-named Screens 4 & 5. The capacity was now only 960, reduced by a further 86 seats from the 1976 conversion. With the divisions for extra screens in the seventies and nineties, the main internal fabric and structure remained intact. The Odeon closed on Thursday 14th June 2007. Recent alterations have seen the original circle removed completely with most of the plaster work lost as the building is integrated into a library/arts centre, mini cinema, and the new theatre that is attached at the back of the building which is now re-named Storyhouse, and opened in May 2017. Many Cestrians had strong views on the building remaining for public use, and with the council’s vision of a cultural centre, and selecting the building for the new project, the doomed Odeon has been saved from certain demolition, and brought back to life. HM The Queen officially opened Storyhouse on Thursday 14th June 2018, by coincidence eleven years exactly to the day that the Odeon closed. If you enjoyed visiting the Odeon, or worked there at anytime, then we will be pleased to hear from you to share your thoughts.